Harry Truman Still Casts A Long Shadow In Independence, Missouri It's where Harry S. Truman grew up, where he lived after the presidency, and where he's been laid to rest. Melissa Block stopped by the local soda fountain to talk about how this place stays relevant. Charlottesville, Va., has Thomas Jefferson. New York City can claim Teddy Roosevelt. And Independence, Mo., is synonymous with our 33rd President, Harry S. Truman. He always called it "the best town in the world." 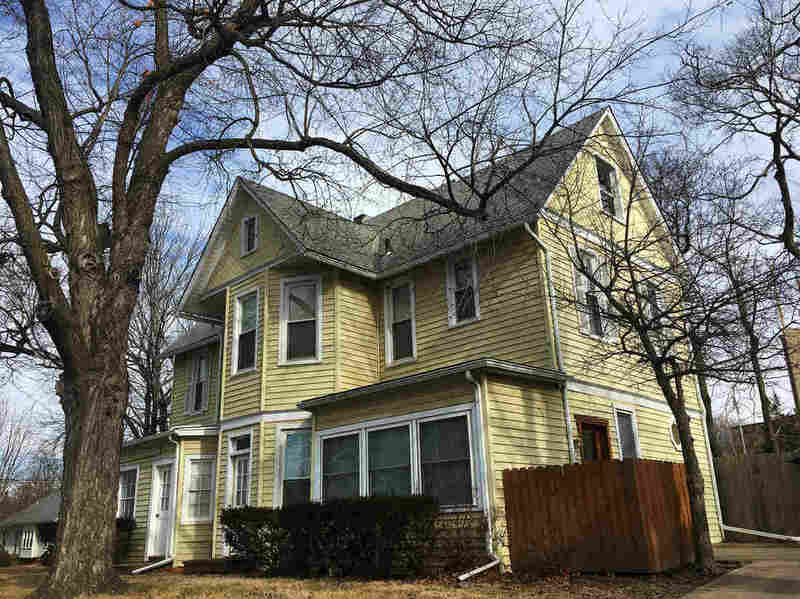 Truman moved to Independence, just outside Kansas City, Mo., with his family as a young boy. It's where he went to school and, at age six, met the girl who would become his wife: Bess. It's where he became a judge, in the courthouse that now bears his name. And it's where he lived out his days after the presidency. Speaking from his porch in 1953, after he left the White House, Truman proudly said, "It's good to be back home in what I call the center of the world: Independence, Missouri." You can find lots of Truman souvenirs in the gift shop at the president's library and museum. 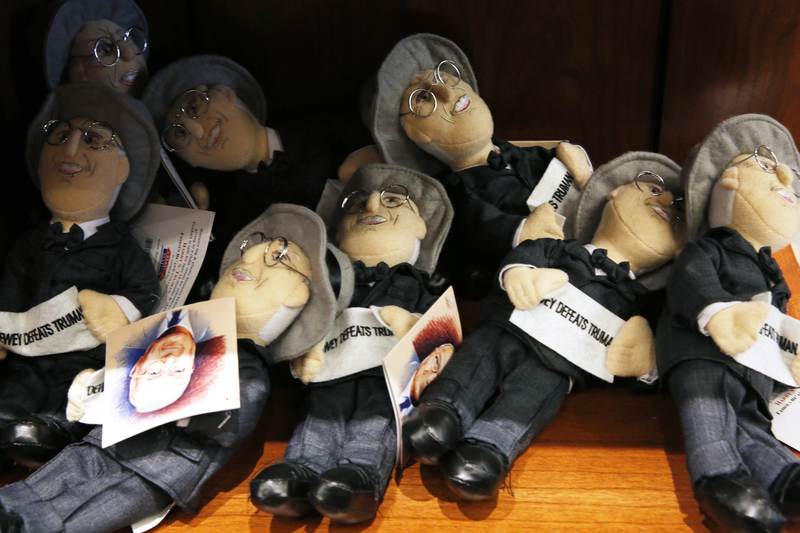 Highlights include Truman baseballs, bobbleheads and these plush dolls. In those days, Truman was a regular presence, walking briskly through town, his Secret Service detail struggling to keep up. Our Land is a project from special correspondent Melissa Block. She's spending the next few months traveling the country, capturing how people's identity is shaped by where they live. Help her decide where to go and who to spend time with by filling out this form. As I discovered, in Independence today, Truman is never far out of reach. Driving into the city along East Truman Road, you'll pass by Truman's Wash Tub and Mini Mart. You can pick up a Truman bobblehead doll at the "Wild About Harry" gift shop on historic Independence Square. There he is in silhouette, hat on head and cane in hand, on signage all over town. At Clinton's Soda Fountain, you can order "Harry's Favorite": a chocolate sundae topped with butterscotch. When Truman was 14, he got his first job at this spot, in what was then Clinton's drug store. He'd mop the floors, and get things in order. He also got some early exposure to hypocrisy. He would serve whiskey to people who would come in through the back door to sneak a drink behind the counter. "Most of those people were the great high hats of Independence," he later recalled, "who were not in a frame of mind to go across the square to the saloons and buy their drinks openly. That's where I got my idea of what a real prohibitionist is." At Clinton's, I meet up with Lois McDonald, who works at the Independence Chamber of Commerce. "He's everywhere!" she laughs. "If you look out the window, he's standing right there." Indeed, there's Truman, cast in bronze, mid-stride, just outside the courthouse. City manager Zach Walker calls Independence "the biggest small town you'll ever be in. And I mean that lovingly," he adds. "Everybody knows everyone." With 117,000 people, it's the fifth largest city in the state, and Walker says they've got their eyes on #3. 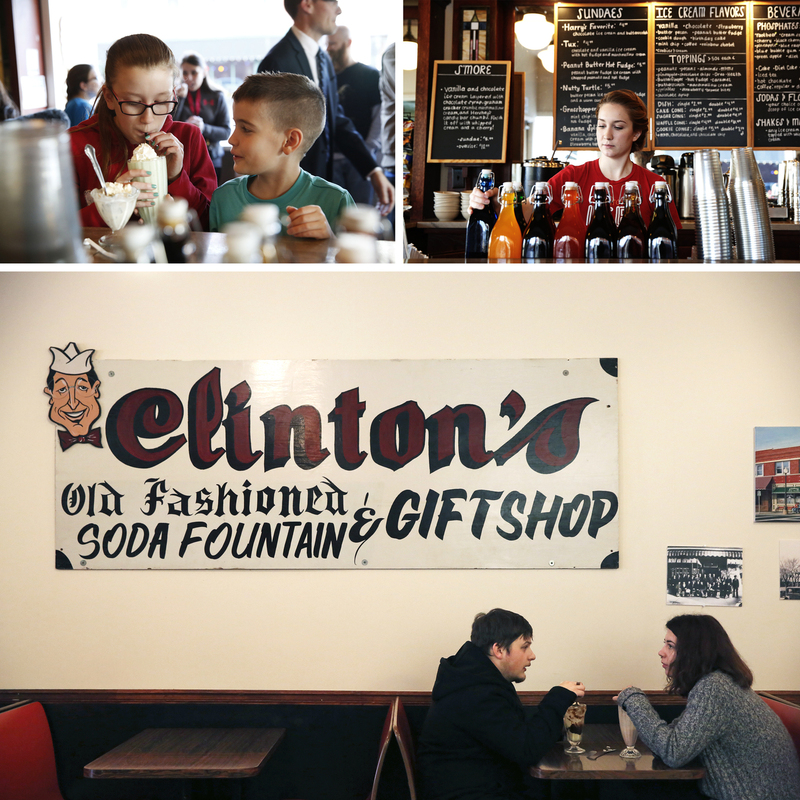 (Top left) Trying the blue raspberry milkshake at Clinton's Soda Fountain. (Top right) Tabitha Watson, 17, makes a phosphate soda. (Bottom) Clinton's is where President Harry Truman held his first job, in what was then Clinton's drug store. The city, he says, is ripe for development. "We're defined by our history, but we're certainly wanting to be more than just that, too." Walker hopes they can attract high tech jobs to jump-start the Independence economy. That's important, Lois McDonald says, "So that we don't just disappear into history. We have to stay relevant. It's important to keep our eyes out, and not recede into the history books." City leaders also hope a revitalized Independence will attract more young people with families to move here, like 34-year-old Zac Gall. Gall grew up in Independence, but moved away to study writing. When his friends were settling down in Brooklyn, Austin and San Francisco, he and his wife decided to move back to Independence. Truman's boyhood home where Zac Gall now lives with his family. 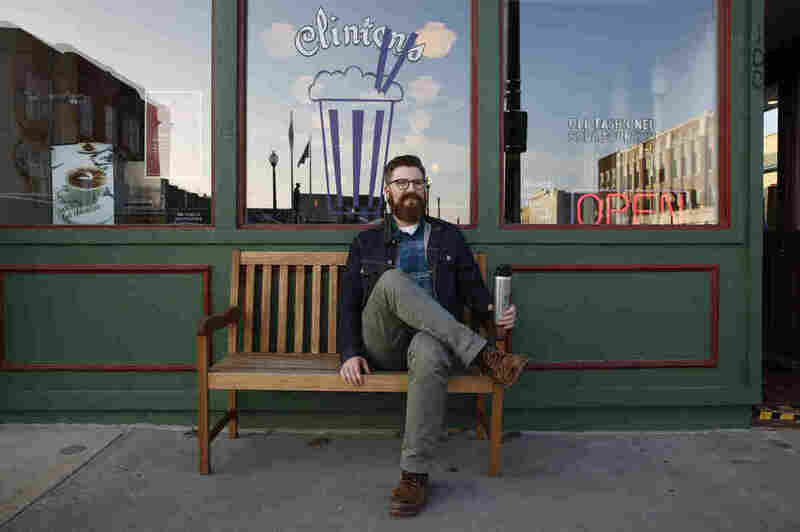 Now, he teaches at Truman High School and he lives in the Truman boyhood home. "So we're just hitting all the Independence tropes, I guess!" he jokes. Gall tells me his mother recalls seeing the former president taking his daily constitutional through town. "You do feel his presence," he says. 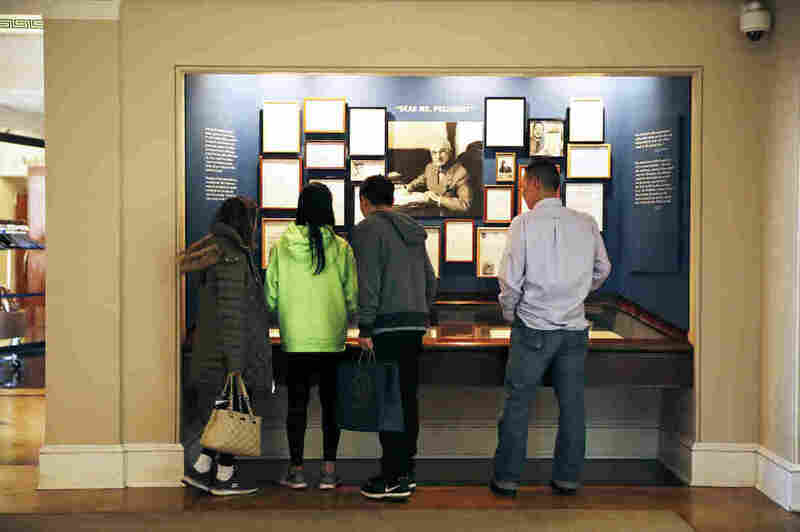 "The office at the top of the stairs that I have now — what I write and work out of — was Harry Truman's bedroom when he was a teenager. It's kind of wild!"